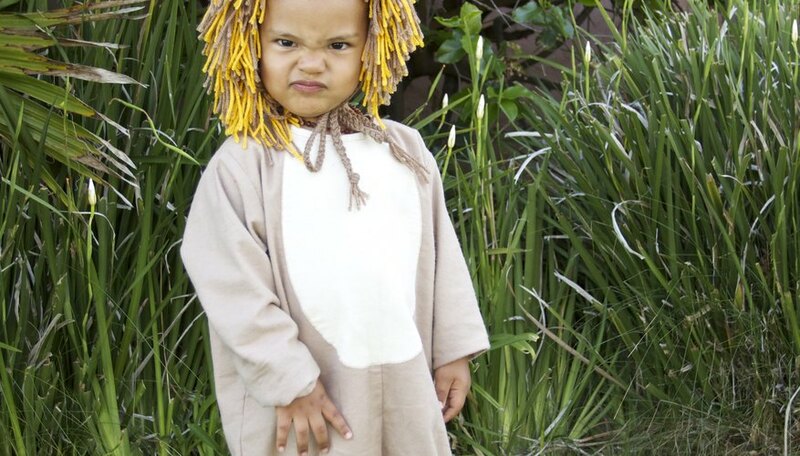 Your little one will be the fiercest member of the pride in this costume. 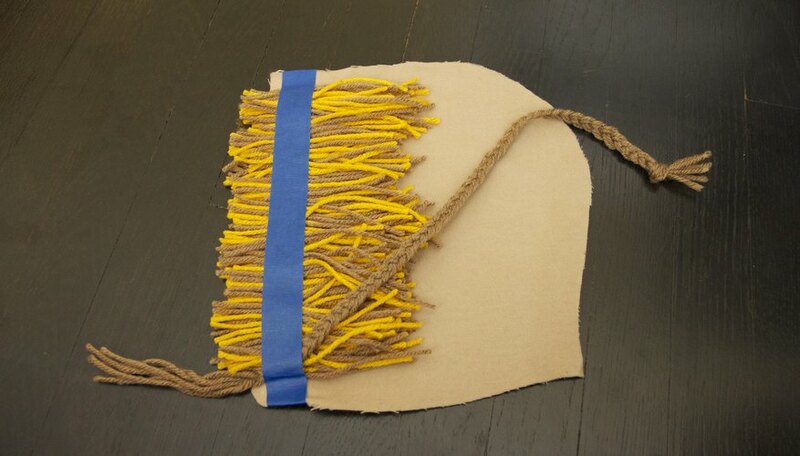 Perfect for the advanced beginner sewer, the costume uses flannel, yarn and hook and loop tape for an easy closure. 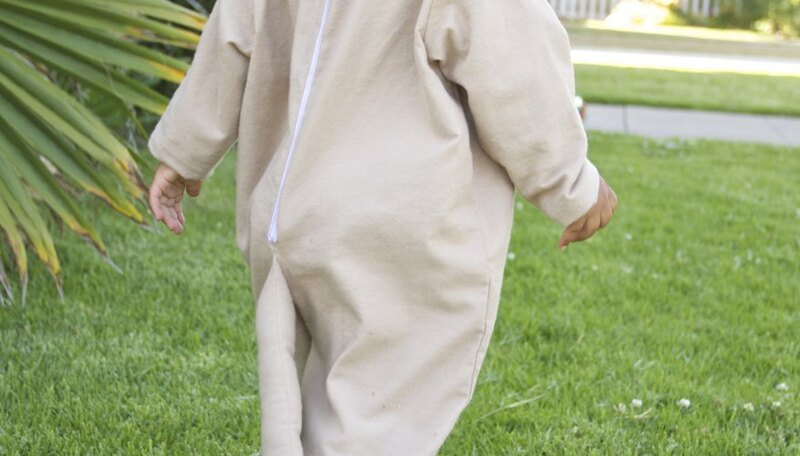 Intentionally oversized, it's a comfy fit for an active two- to three- year-old. 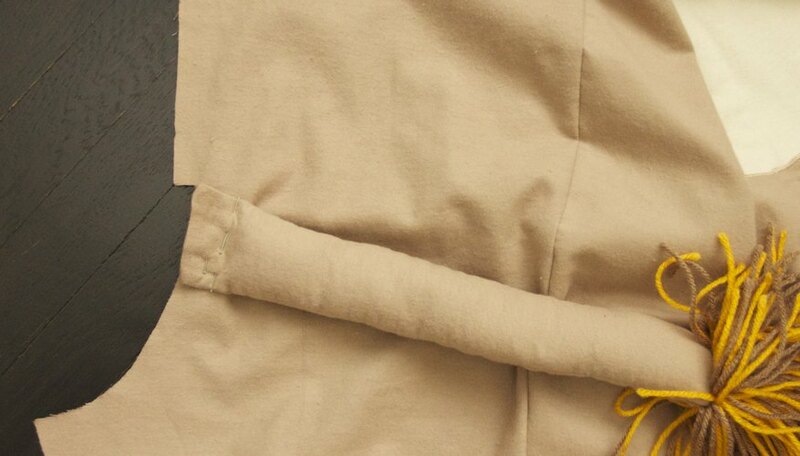 The hood is made of four pieces of fabric: two for the outside and two for the lining. 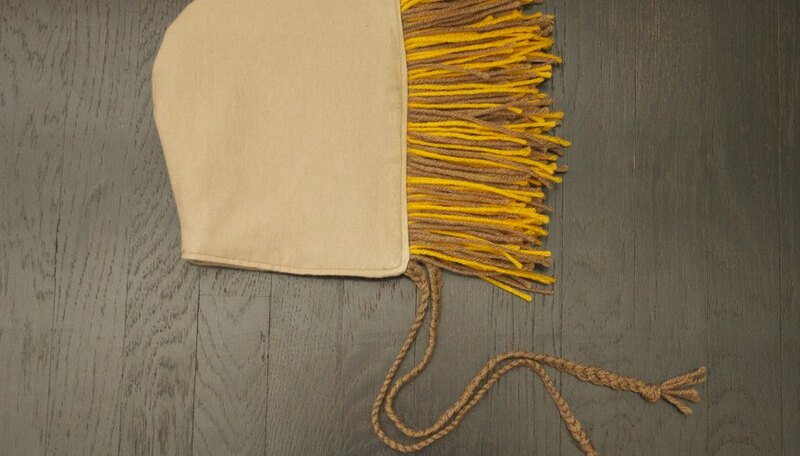 Colorful yarn is sandwiched and sewn between these layers, forming the mane that frames the face. 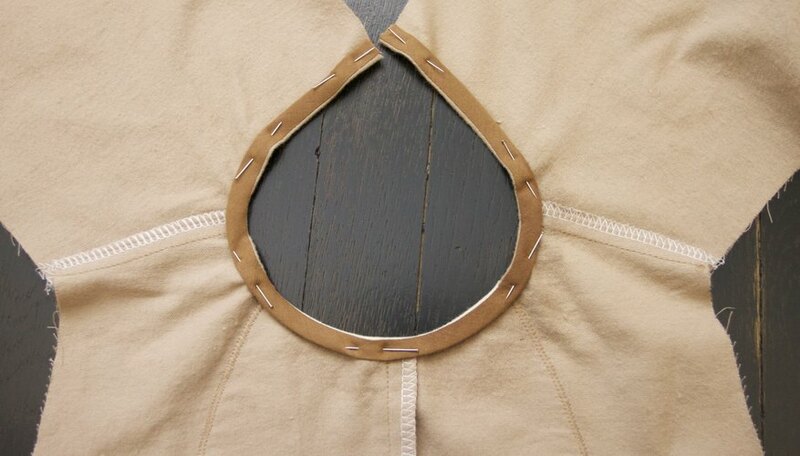 The straps, also sandwiched and sewn between the layers, are easily tied under the chin to keep the hood in place. 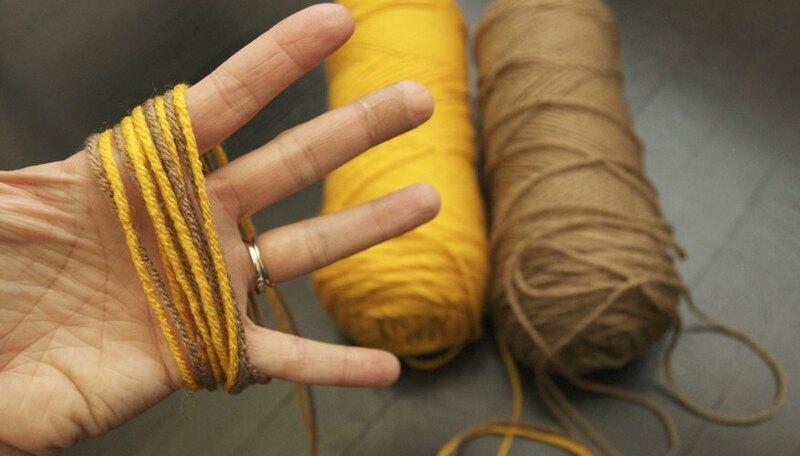 Take both yarns and wrap them loosely around the hand 20 times. 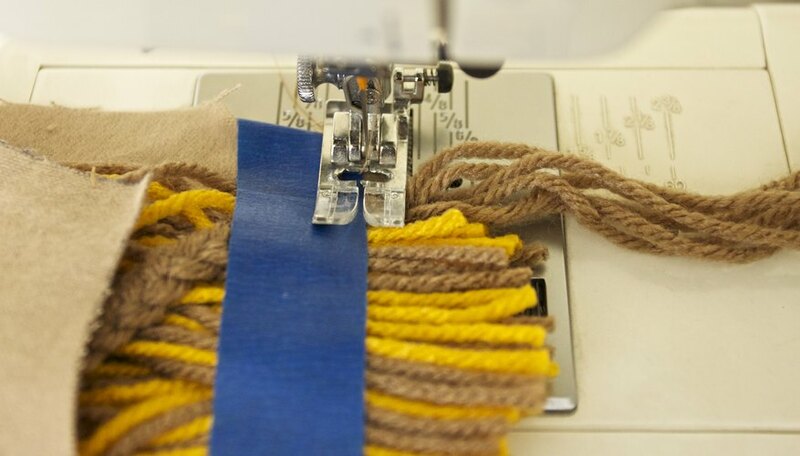 Place the scissors at the bottom of the wrapped yarn and cut. Repeat once and keep the piles separate. 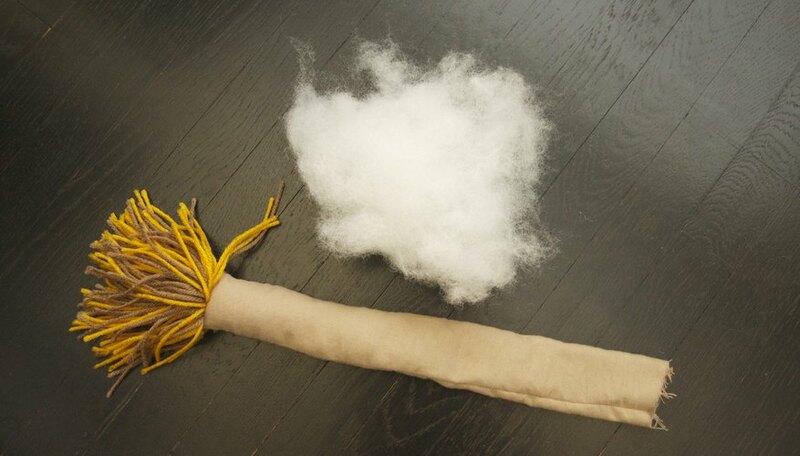 Lay a bundle of yarn across the tail bottom, half on the tail, half off. 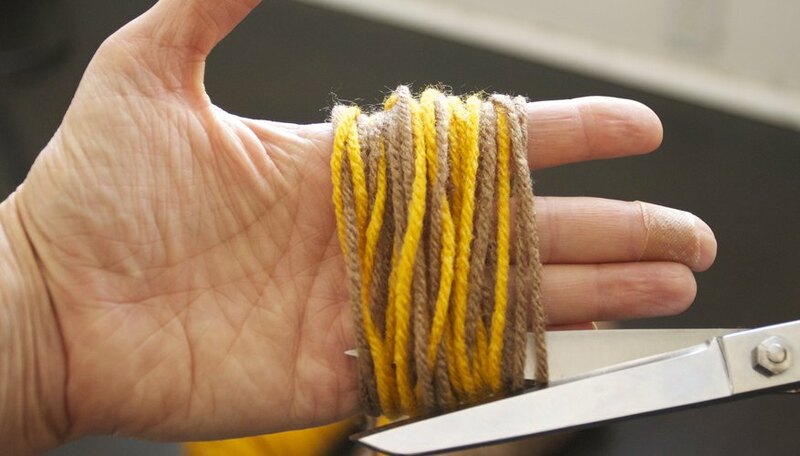 Leave 1/2 inch of space on each side of the yarn. That's the seam allowance for when you sew the tail together. Holding the yarn in place with your hands, sew at 5/8 inch from the bottom across all of the yarn. 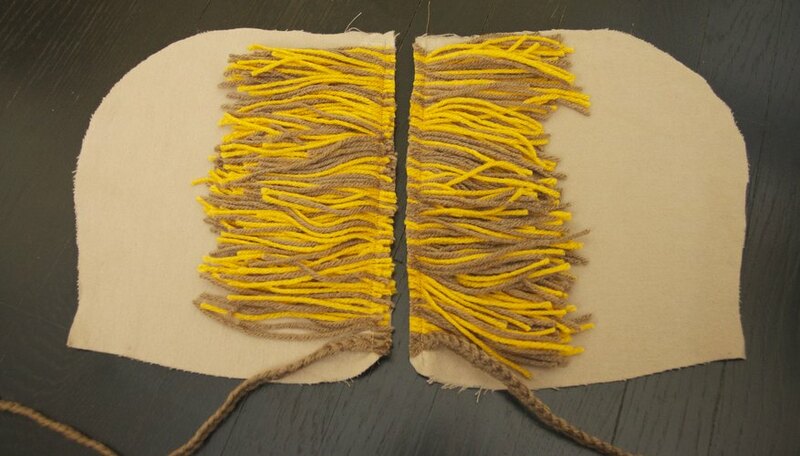 Pin the tail pieces, right sides together, tucking in the yarn pieces. 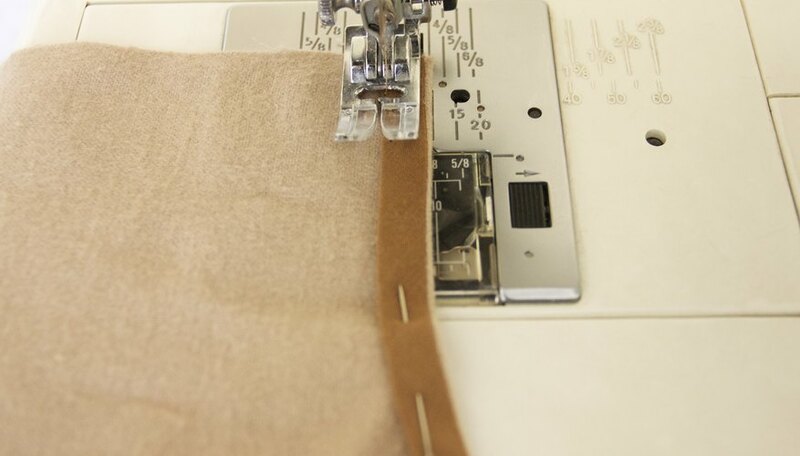 Switch to the zipper foot on your machine. Sew with a 1/2-inch seam allowance. 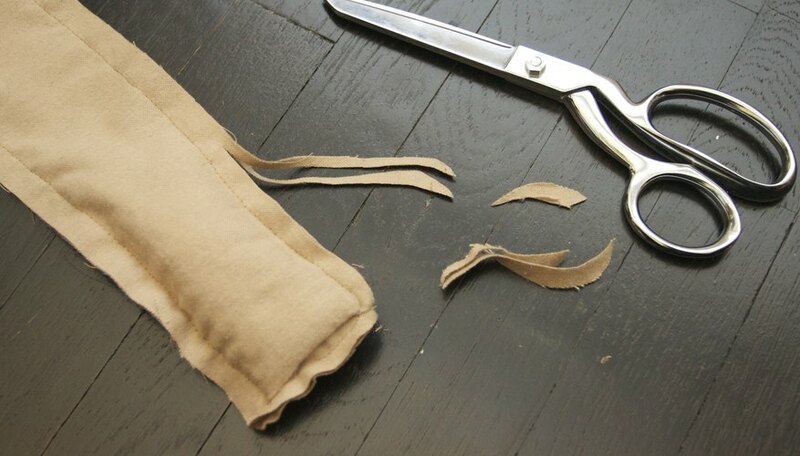 After sewing the tail, switch back to the regular foot. Trim the seam allowances and turn right-side out. Lightly stuff with polyester stuffing. Do not overstuff. 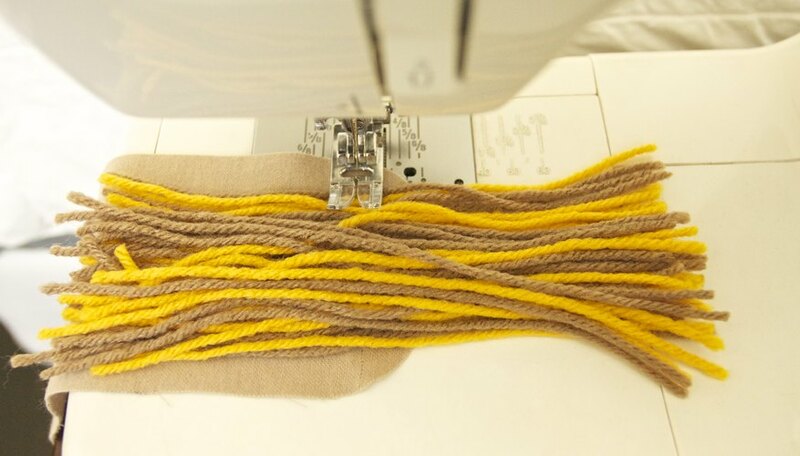 Using the same method as for the tail, wrap yarn around your hand 20 times, and cut at the bottom. Make four bundles. Cut the bundles in half. 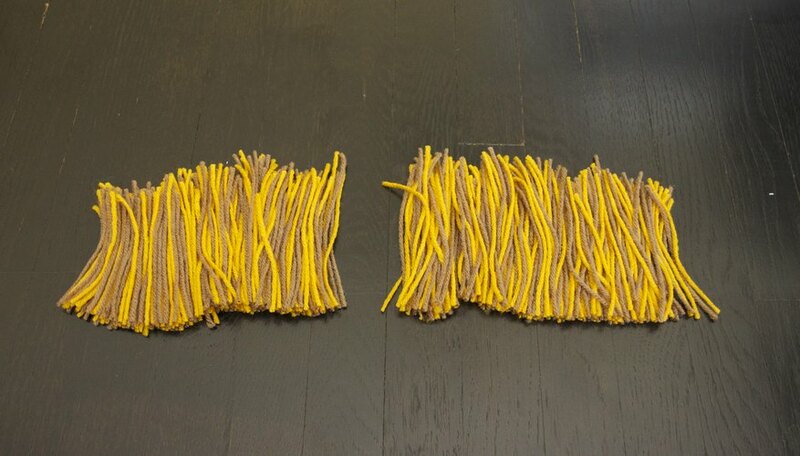 Separate all the yarn into two even groups. 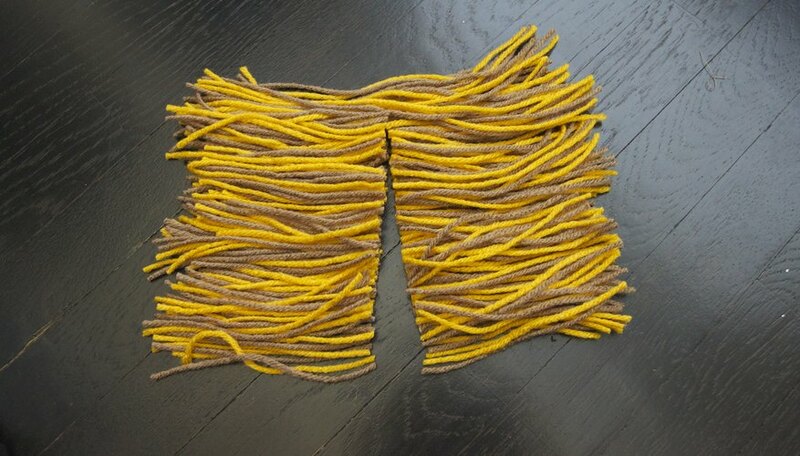 Take the dark tan-colored yarn, and cut 12 pieces of yarn the approximate length of your arm. 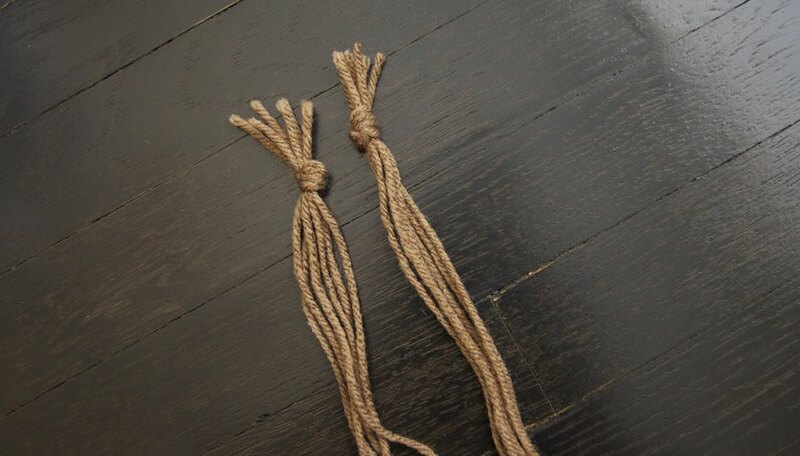 Separate the strands into two groups of six pieces each, and knot them at the top. Braid the yarn, holding double strands. Leave about 3 or 4 inches at the bottom and set aside. 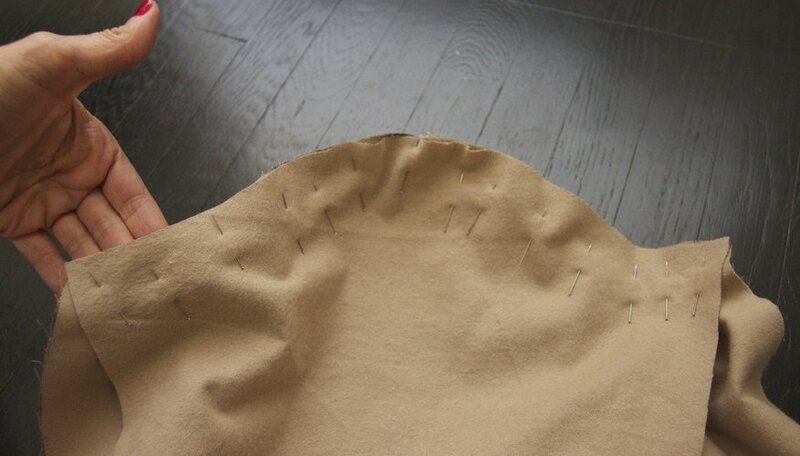 Pin two hood pieces together, and sew along the back of the head using a 1/2-inch seam allowance. Press. Leave wrong-side out and set aside. This is your lining hood piece. Take one of the other two hood pieces and apply glue down the front edge of the hood. Lay the yarn on the hood with about 1 inch overlapping the edge on the front. 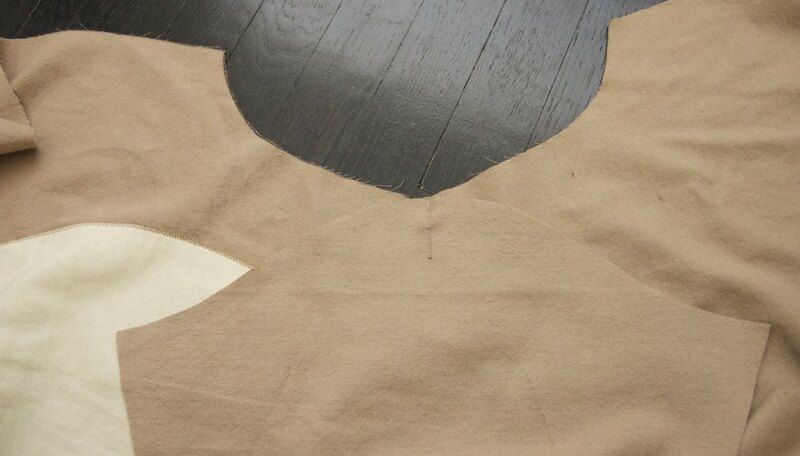 Leave 1/2 inch at the top and bottom for the seam allowance. Press to adhere to the glue. 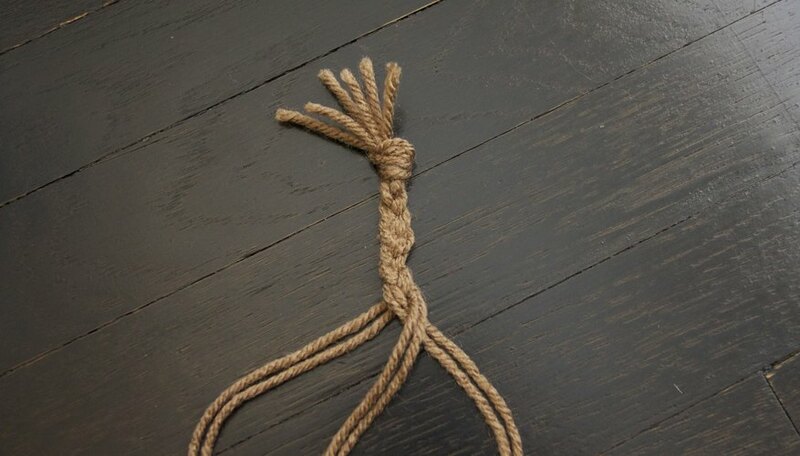 Take one of the braided straps and place it across the bottom at an angle, just under the yarn. Going across the yarn and strap vertically, lay painter's tape about 1/4 inch from the edge of the hood. Repeat on the other hood piece with the rest of the yarn and the other strap. Sew at 1/4 inch from the edge. Trim the yarn even with the edge of the hood. 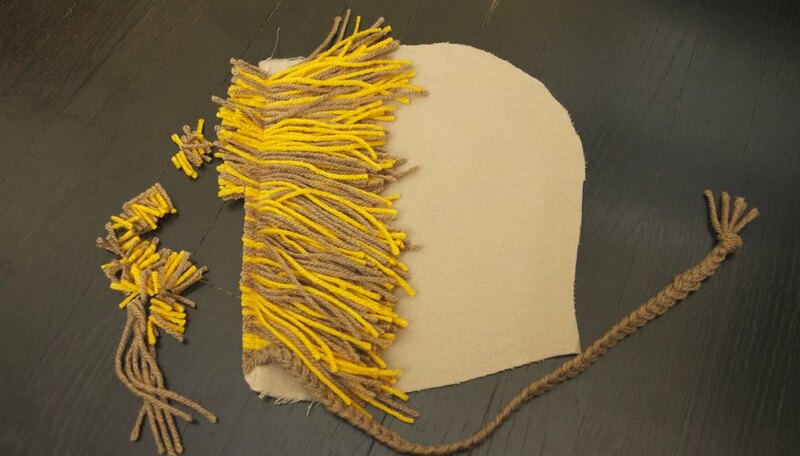 Place the two hood pieces together, placing the yarn on the inside. Tuck the straps in, and then pin and sew around the back of the hood. After sewing, turn right-side out. 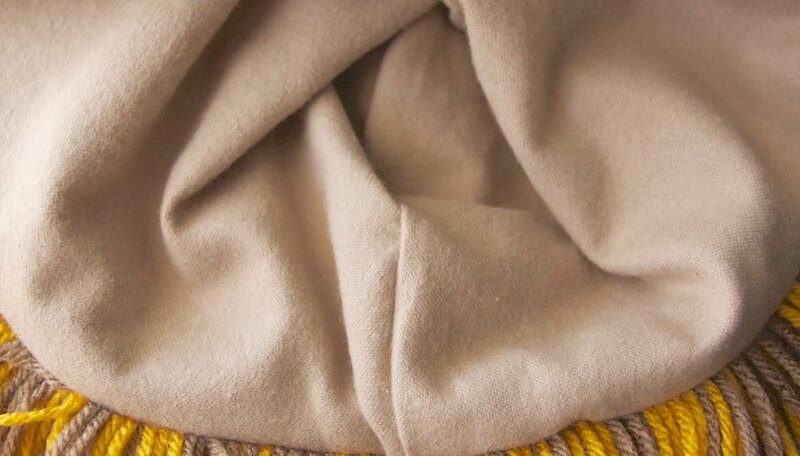 Take the yarn-free hood and tuck the yarn hood piece inside of it, right sides together, and pin. Leave a 3- to 4-inch gap at the back bottom of the hood. This will be where you turn the hood right-side out. 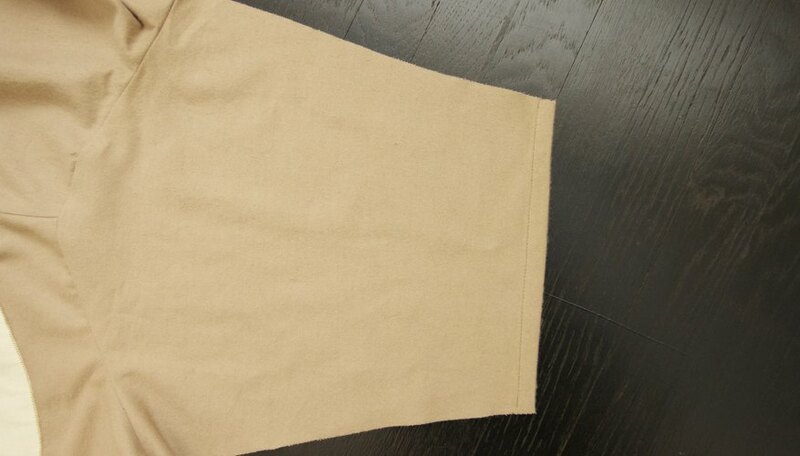 Sew with a 1/2-inch seam allowance. Turn the hood right-side out. 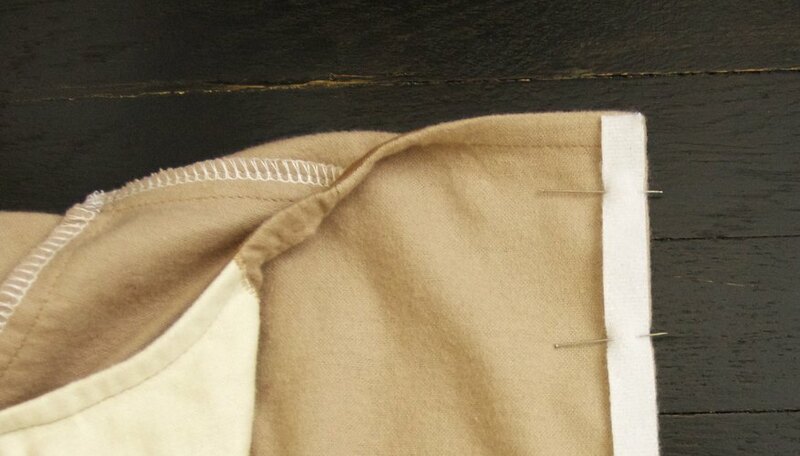 At the gap at the back of the hood, turn in the seam allowance 1/2 inch, making sure the back seam lines match up. Press. Position the yarn out of the way to sew. Sew 1/8 inch from the edge, closing the gap. 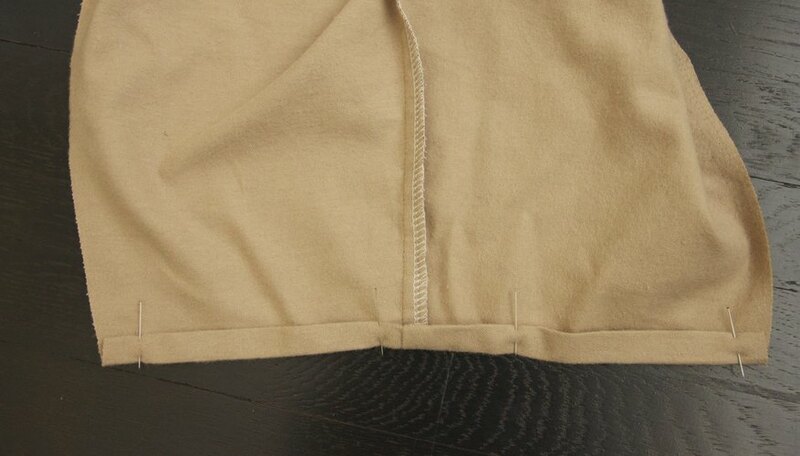 Continue around the entire hood, topstitching. Give it a light press. 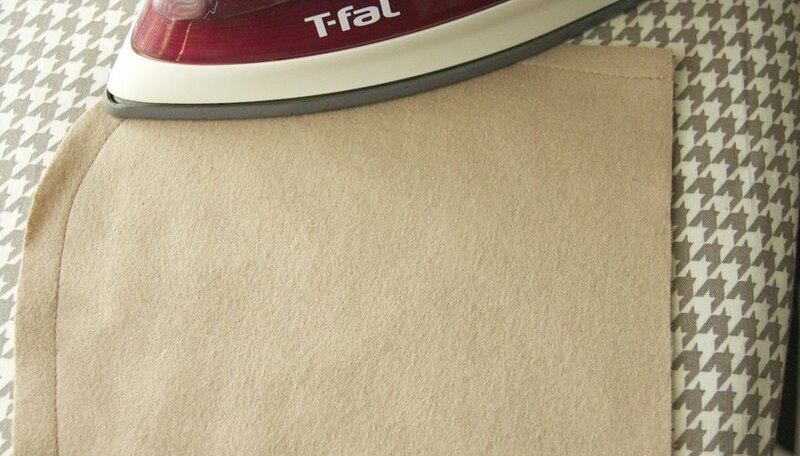 Be careful not to iron over the yarn. If it's made of polyester or acrylic, it will melt! 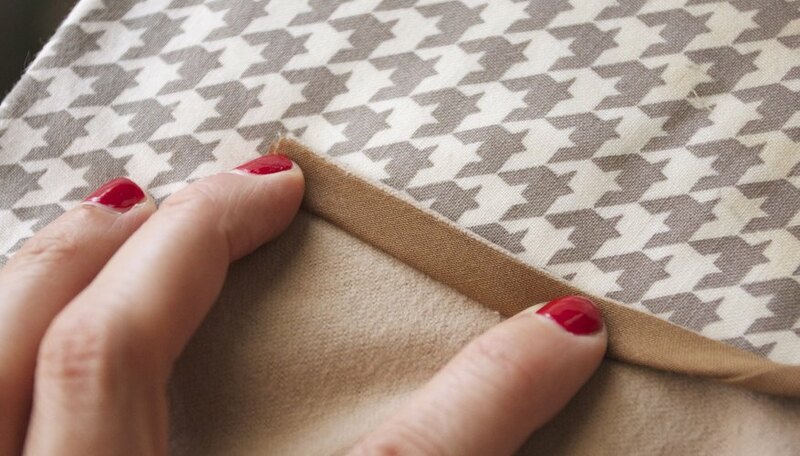 With right sides together, stitch the front center sections together using a 1/2-inch seam allowance. Press. 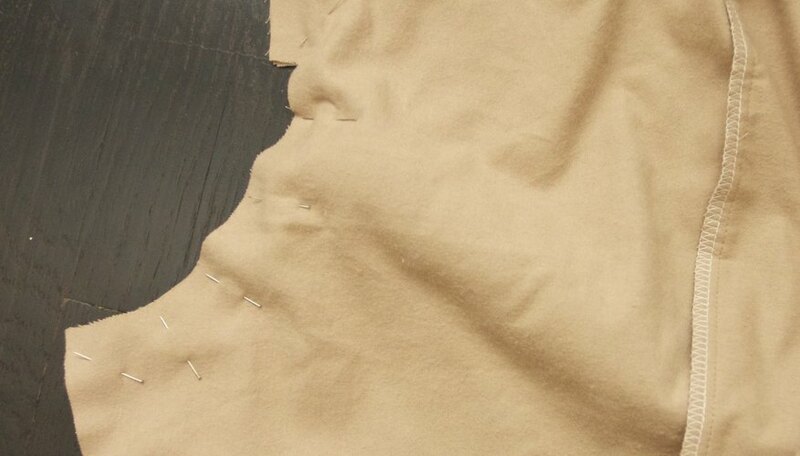 Finish the seams. 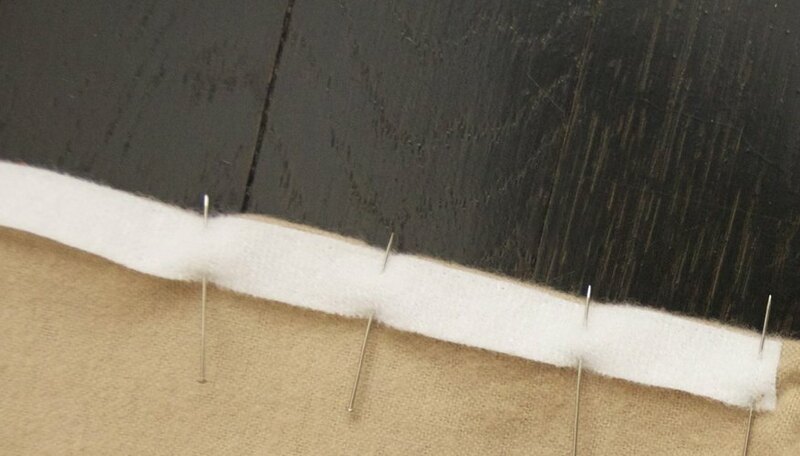 If you have a serger, finish the seams by serging. 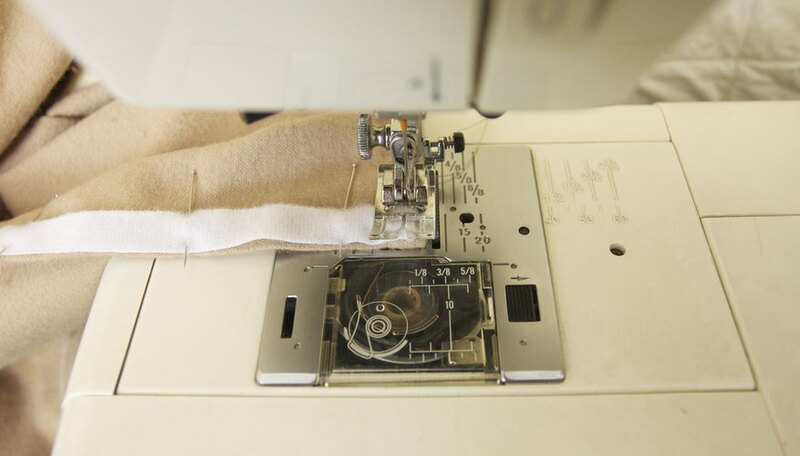 If you do not have a serger, use your regular machine's overcast function or zigzag to prevent fraying. 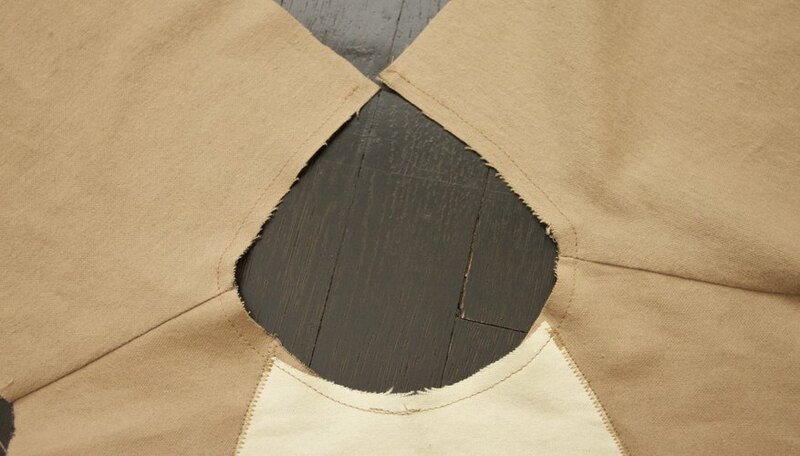 Open the sewn front pieces and lay them right side out. Center the belly piece on top, right side up. 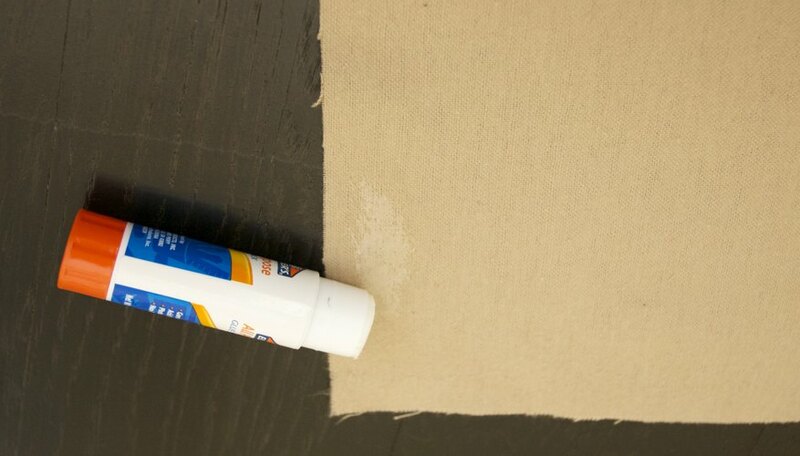 Using the glue stick, glue around the edges of the wrong side of the belly piece, and press in place. 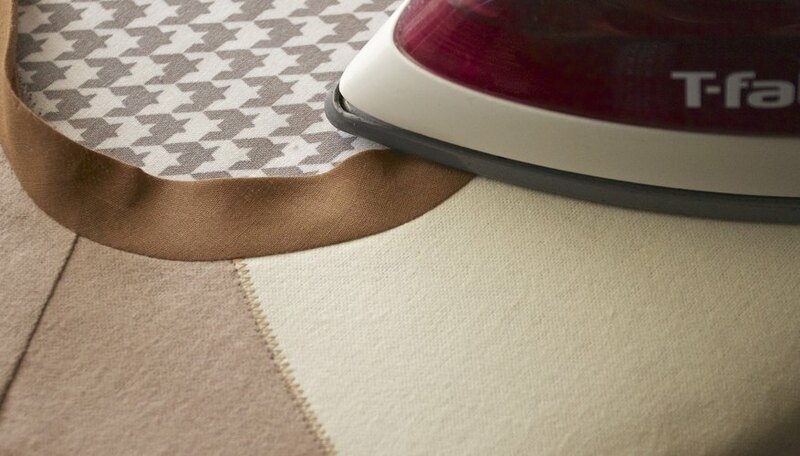 Set your machine to zigzag with a medium width and a short length. 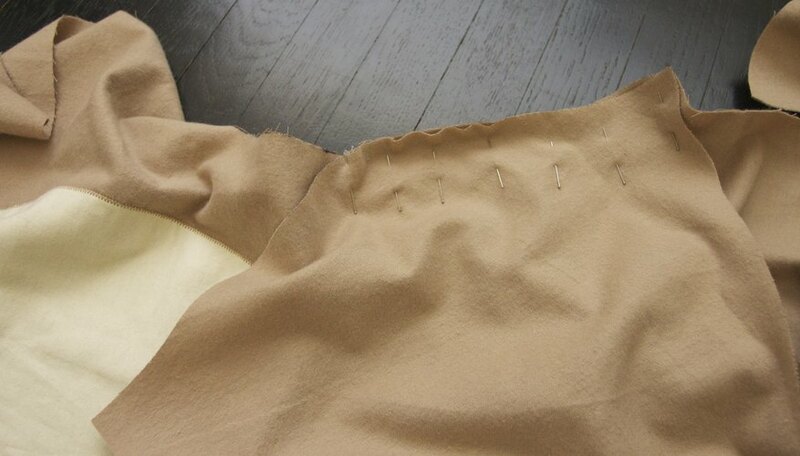 Stitch around the belly, attaching to the front. Press. 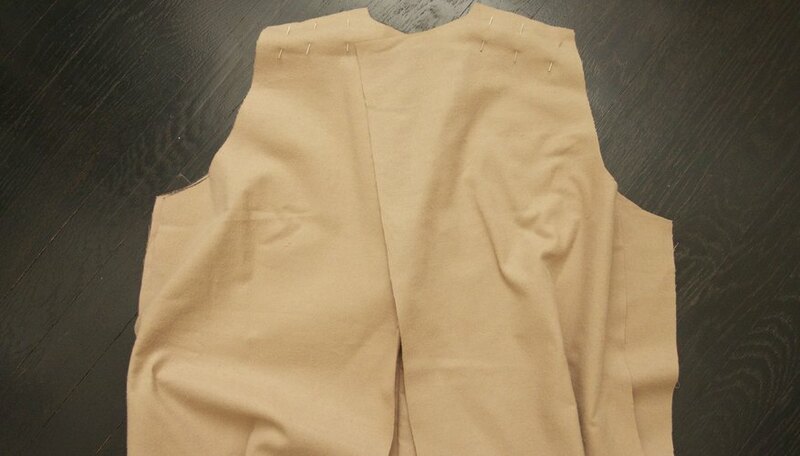 With right sides together, pin and sew the shoulders together with a 1/2-inch seam allowance. 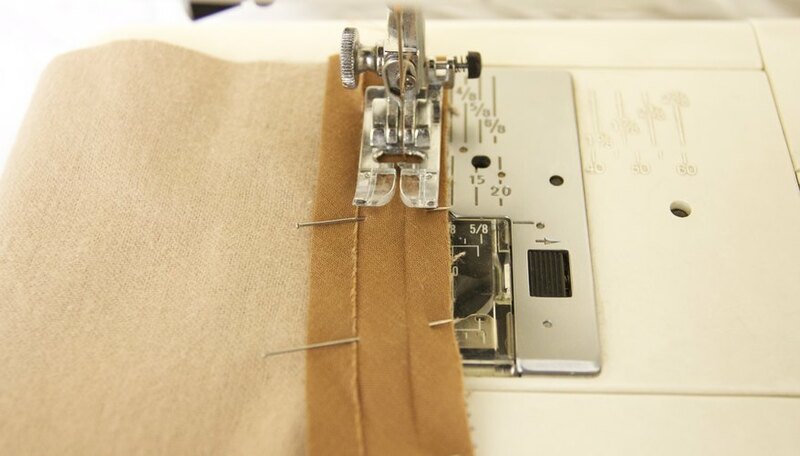 Finish the seams, and press toward the back. 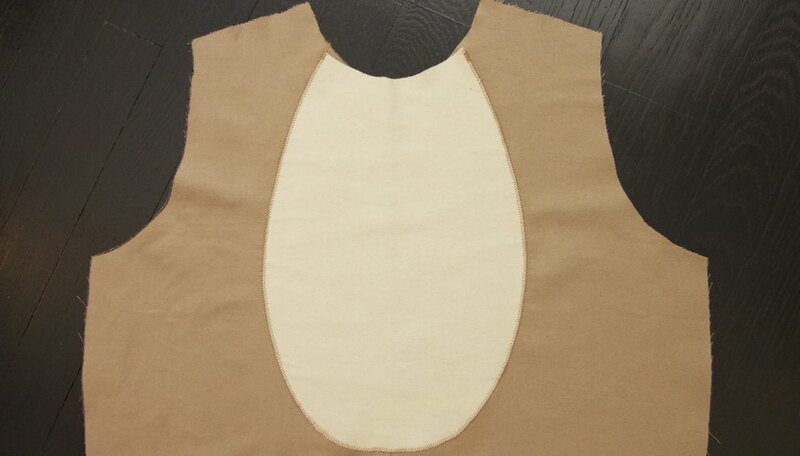 To stabilize the neckline, stitch from each shoulder to the center at 1/4-inch from the edge. 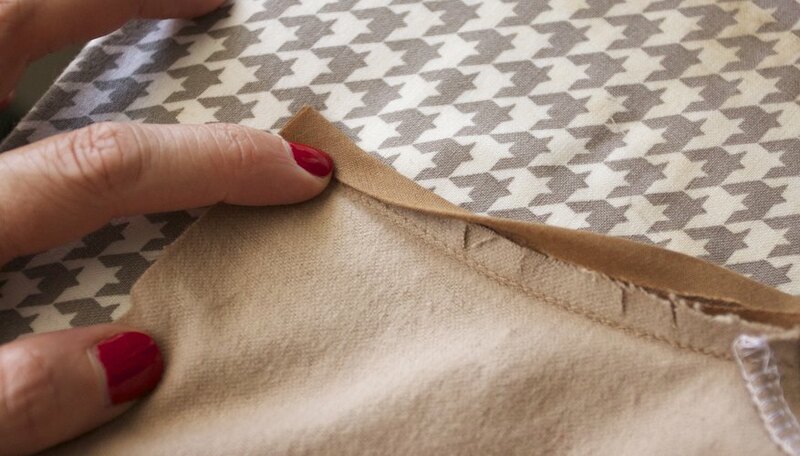 With right sides together, open up the bias tape and line up the edge of the tape to the raw edge of the neckline. Pin in place. 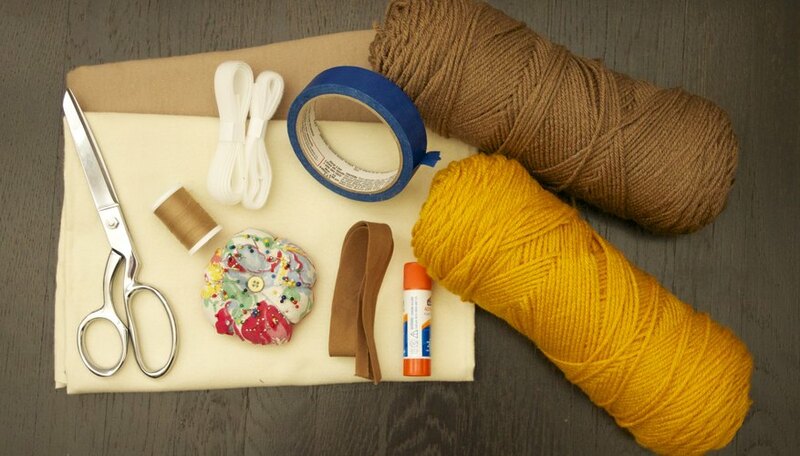 If you're interested in making your own bias tape, check out this handy tutorial. Sew in the fold line closest to the edge. 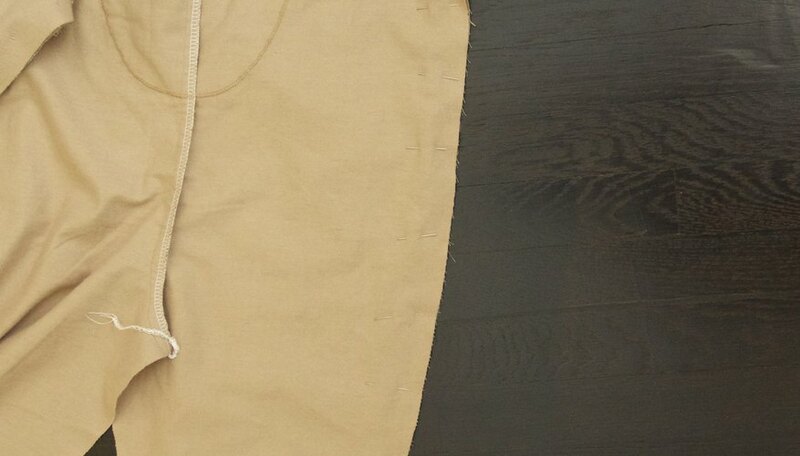 Clip into the seam allowance, being careful not to clip into the seam. 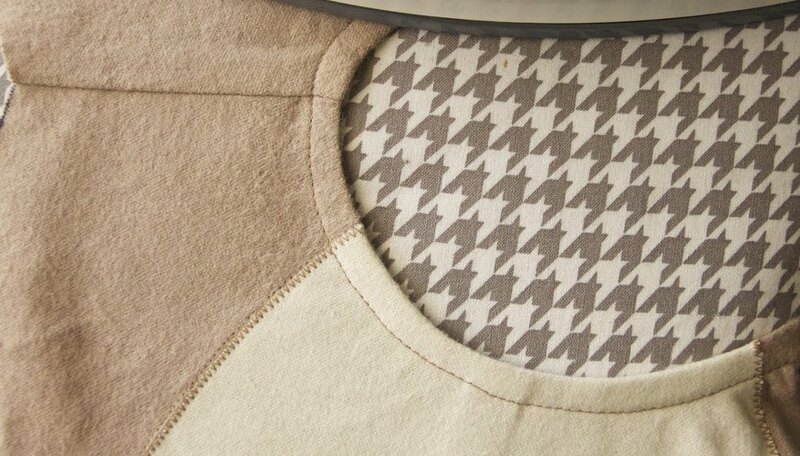 Clipping allows the neckline to lay neatly when the bias tape is applied. For a more in depth explanation, check out this tutorial. Press toward the wrong side. 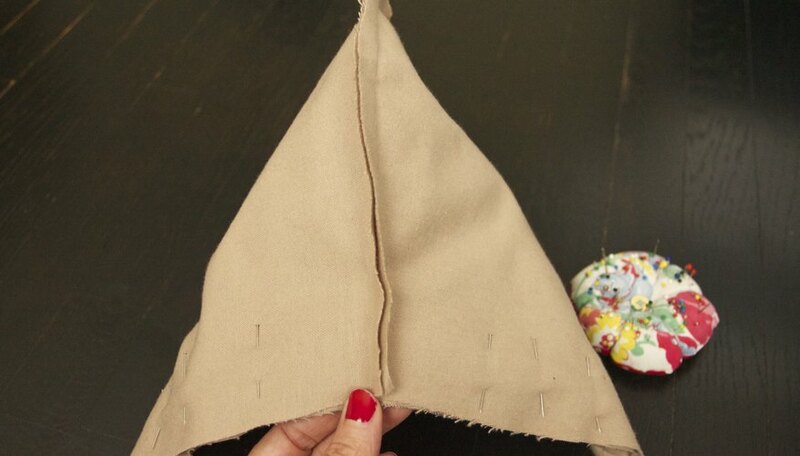 Fold the bias tape toward the back, over the seam allowance. Then fold under again and press to the wrong side. 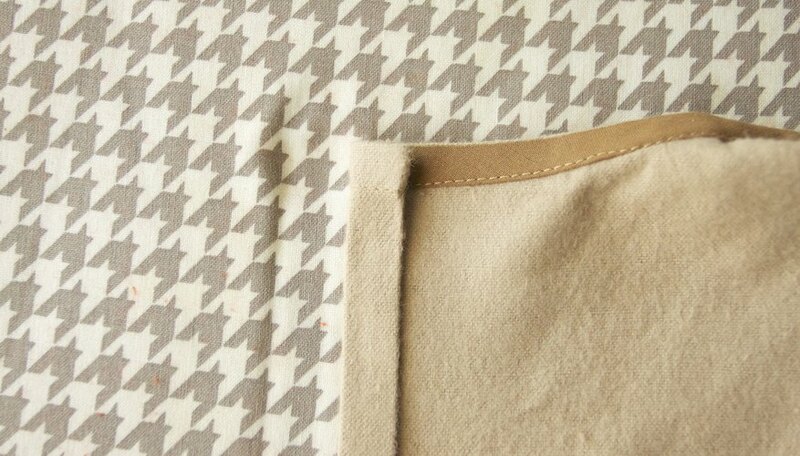 Sew close to the inside edge and press. 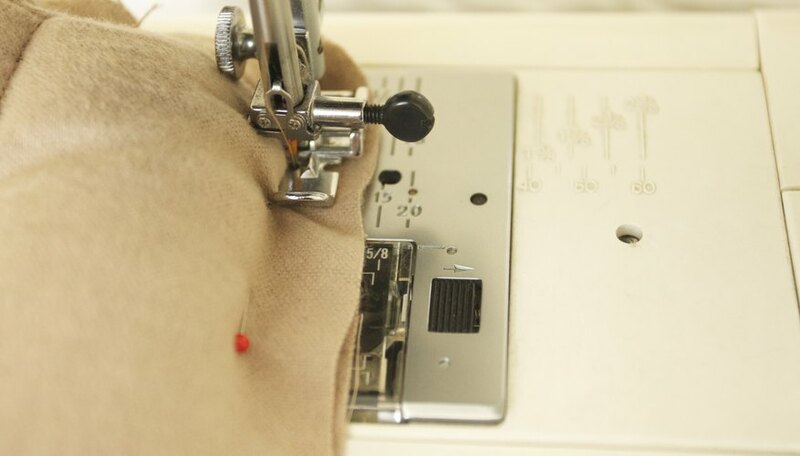 Matching the center of the sleeve cap (the top, curved part of the sleeve) to the center of the armhole (seam line), with right sides together, pin together. 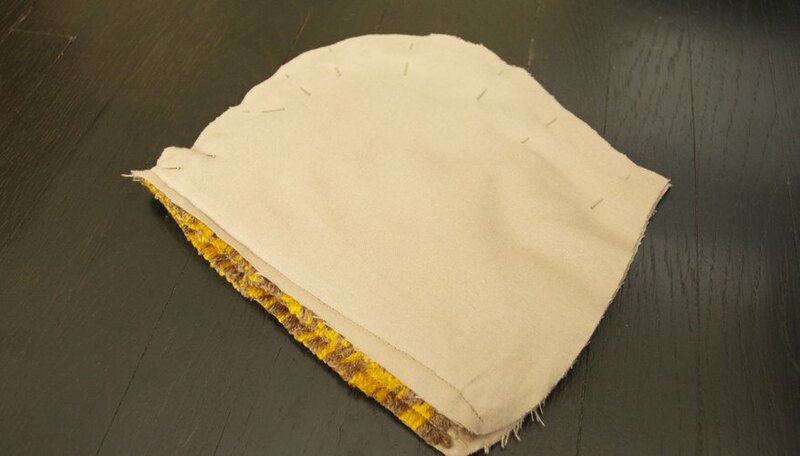 Sew with a 1/2-inch seam allowance, and finish the seams. On the wrong side, turn up the arms at the wrists 1/2-inch and press. Turn up another 1/2-inch, press and pin. 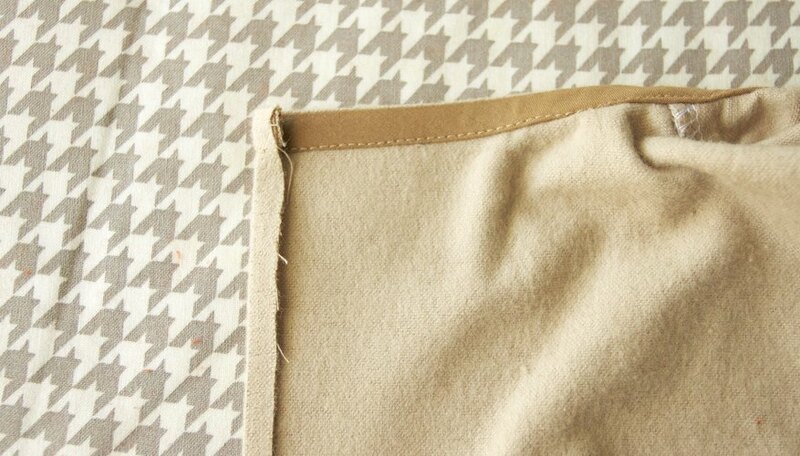 Sew close to the inside edge, and then press. 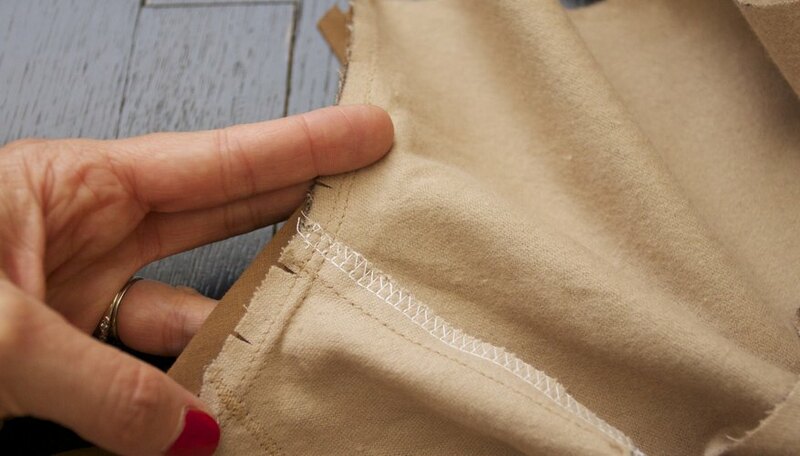 With right sides together, pin the side seams from the foot to the wrist. 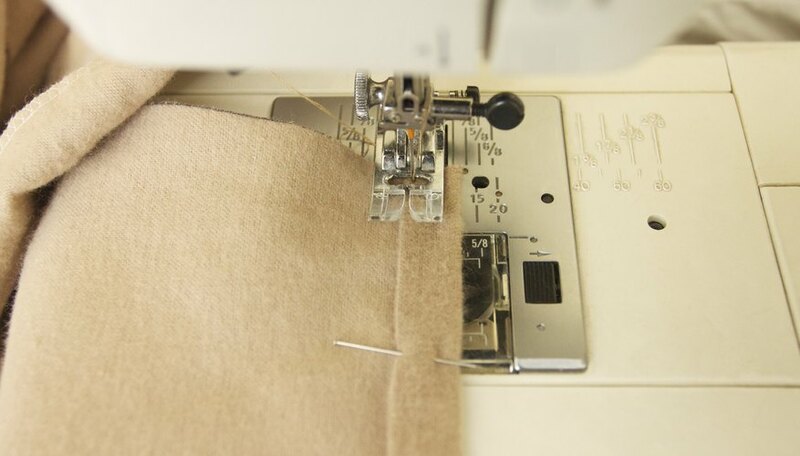 Sew with a 1/2-inch seam allowance, finish the seams and press. Repeat on the opposite side. 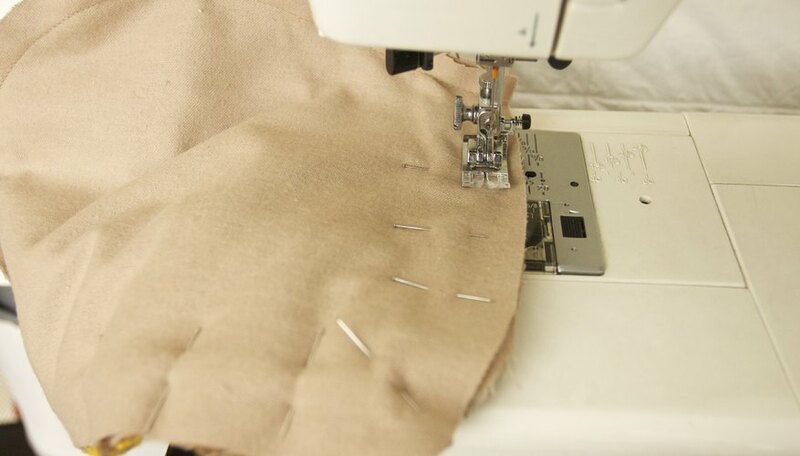 Take the open end of the tail and turn in the seam allowance to the inside. Press. 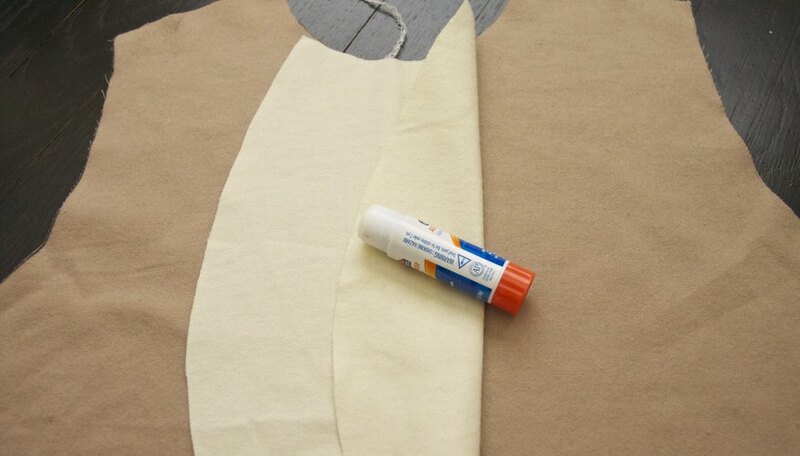 Pin the open end of the tail on the right side of the outside of the costume, just below the extended edge. 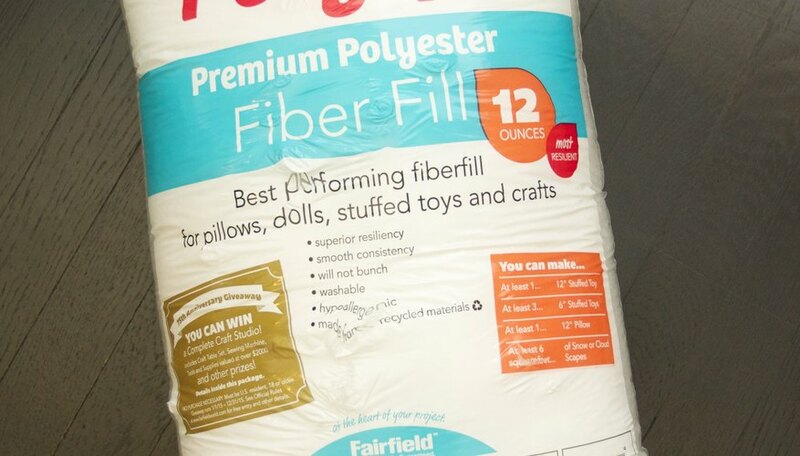 Make sure the stuffing isn't in the seam line. With right sides together, pin the center back together, stopping at the extended edge. 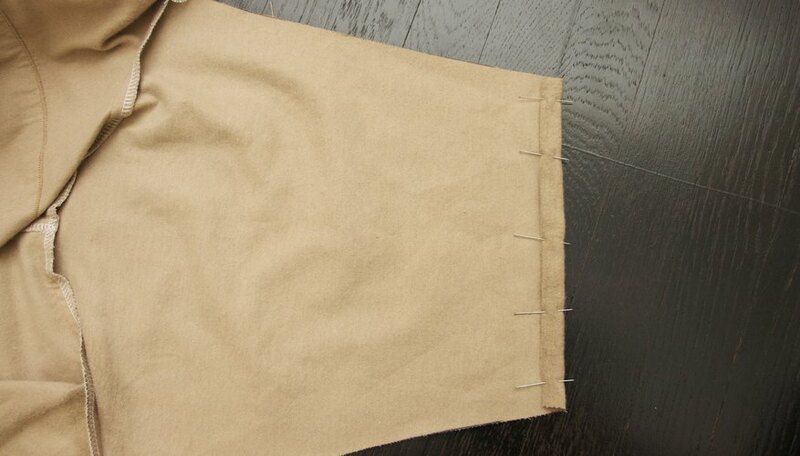 Sew at a 1/2-inch seam allowance, stopping at the extended edge. 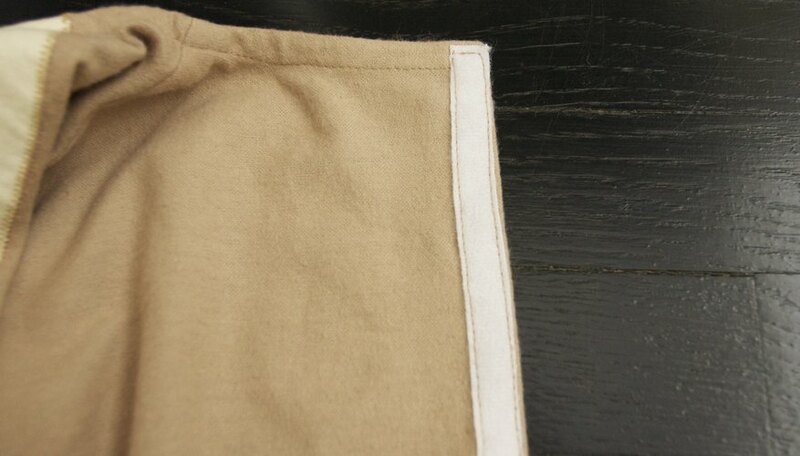 Finish the seam and press. Turn up the hem 1/2 inch and press. Turn up another 1/2 inch, press and pin. 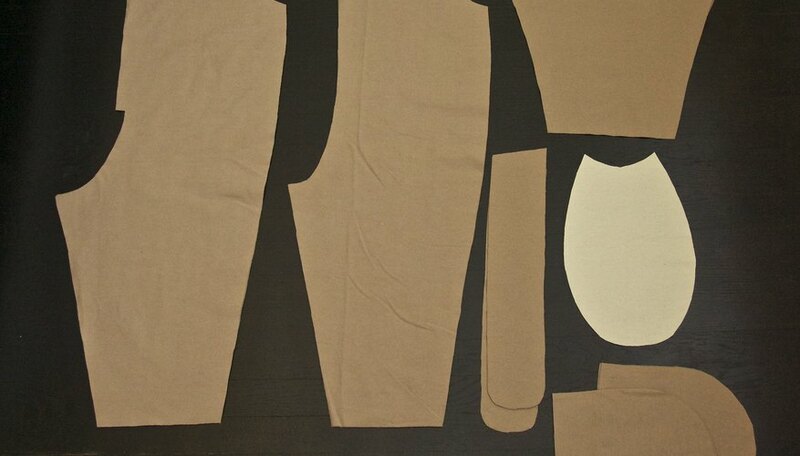 Pin up the inner leg seams and sew with a 1/2-inch seam allowance. Finish the seams and press. On the wrong side, take the right back edge and fold back 1/4 inch. Press. Fold back 1/2 inch and press. 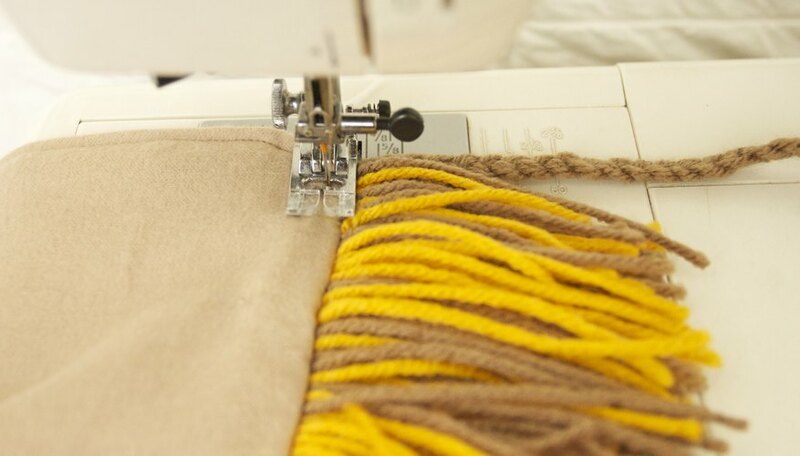 On the right side of the fabric (underneath the just-folded-over portion), lay the loop strip (the soft fuzzy strip) from top to the bottom of the back opening, pinning in place. At the bottom, cut the strip just above the opening. Sew from the top, down the strip and around back up. Press from the wrong side. Repeat for the other side of the opening with the hook tape. 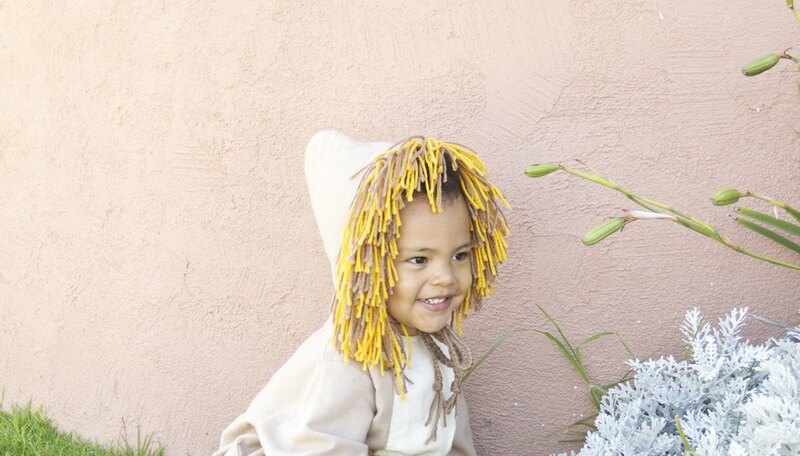 Slip the costume on your little one and he will want to play dress-up all year 'round! With a passion for all things crafty, Jill Sparks loves to spend her free time constructing new projects and making DIY toys for her toddler. When she has a spare moment she can be found blogging at Oh Crafty One.